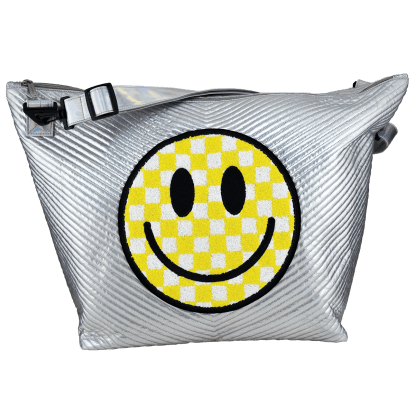 Lunch time is about to get a little sunnier! 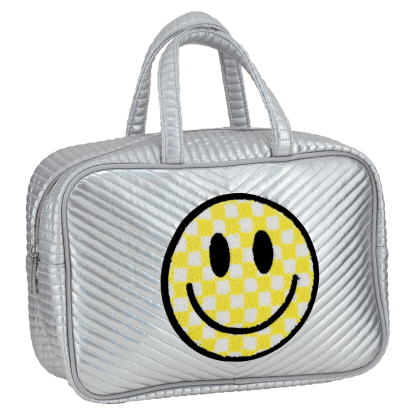 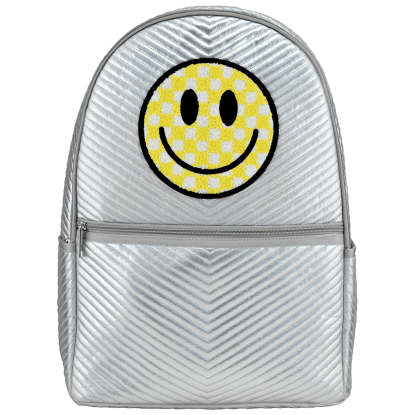 Our checkered smiley face chevron lunch tote features a fuzzy, checkered sunshine yellow and white smiley face patch on a quilted silver metallic lunchbox. 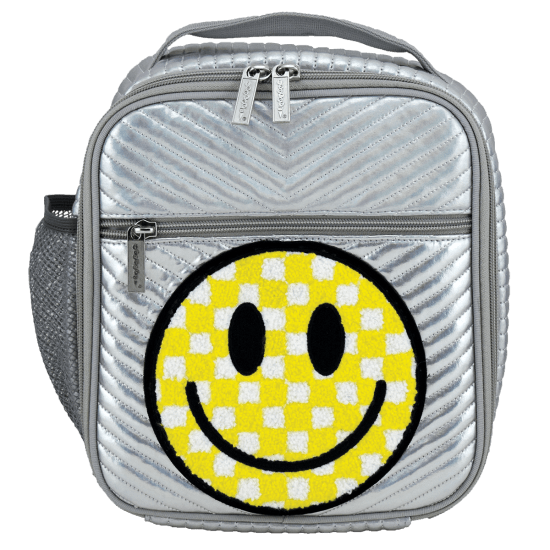 Insulated and with mesh pockets to help keep things organized, this lunch tote is sure to brighten every day.